Elementary Matters: Area or Perimeter? 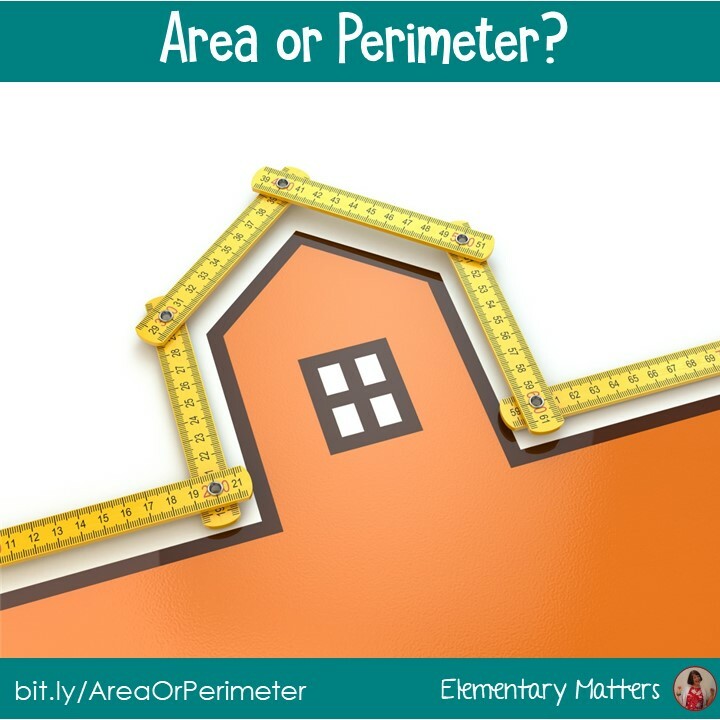 Ever notice how kids have a hard time keeping track of which meaning goes with the word "area" and which meaning goes with the word "perimeter"? My kids used to, but then I made up a couple of tricks that helped the kids remember which one was which. Brain research tells us that making these connections in the brain help children remember! Area is measuring squares. Both words have the are in them, which I emphasize when I teach it. I also make a hand motion that reminds the children that we're talking about a full surface. 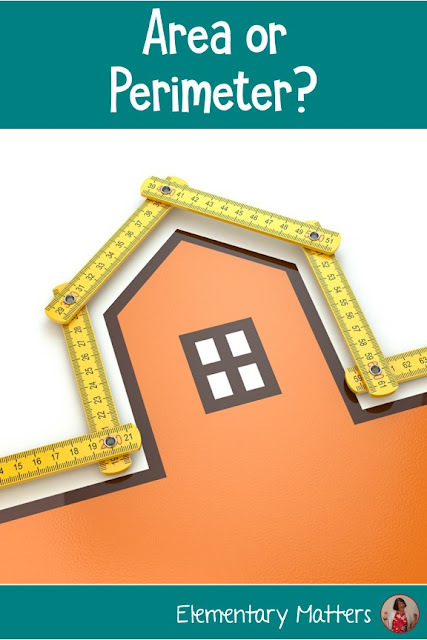 Perimeter measure around the sides. I emphasize that r in both words, and make a hand motion moving around. You know, I'm kind of obnoxious about the way I repeat it over and over, making the same hand movements, and emphasize the are for area and the r in perimeter. But I've had former students tell me they remembered the difference between area and perimeter and they repeated the movements I used to make when they were in my class. When my students do this activity, they repeat my gestures every time! Thanks! Hope it works for you! I like this! Thank you for sharing! I also tell my kids that the word perimeter has the word RIM in it. Then I draw the basketball hoop and show them the RIM and a tire and show them the RIM and they notice that they both go around. Then we make the connection of RIM in peRIMeter. . . it goes around. You can also sing. . .
Perimeter goes around. . . . This is great! I've got a couple of huge basketball fans in my class. I showed them this today, and it clicked!